This book was revised and updated with substantial new information in June 2017! Have you been wasting your money on a bunch of magical hair growth formulas laced with unicorn tears without any results? 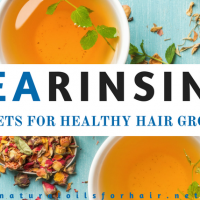 Have you tried everything on the planet to solve your hair loss and hair growth issues without any success? 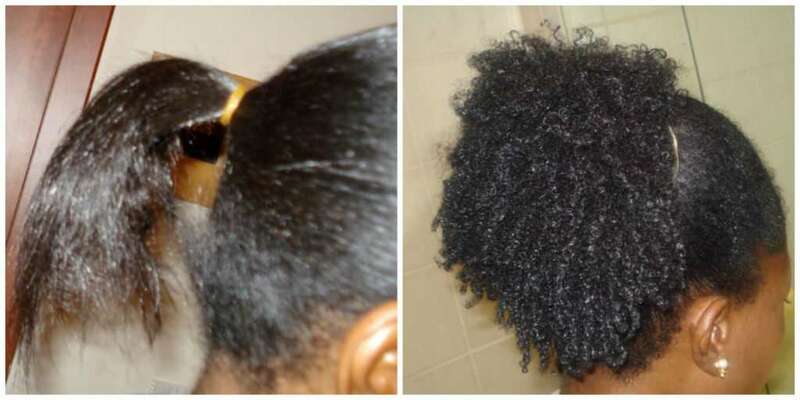 Does it seem like no matter what you do, your hair remains the same length for years? Are you frustrated that all your careful efforts seem to amount to nothing? 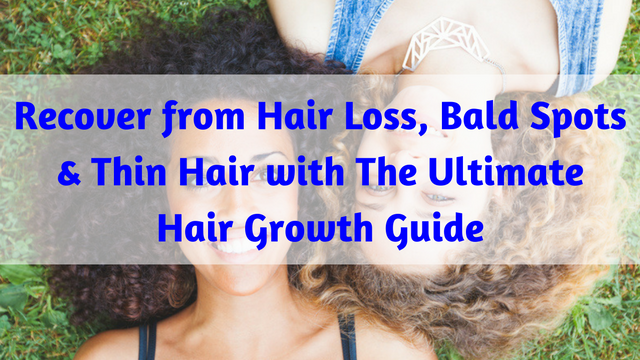 The Ultimate Hair Growth Guide breaks down over 15 very powerful techniques for solving hair growth problems related to hair loss, excessive shedding, bald spots, thinning & falling hair. 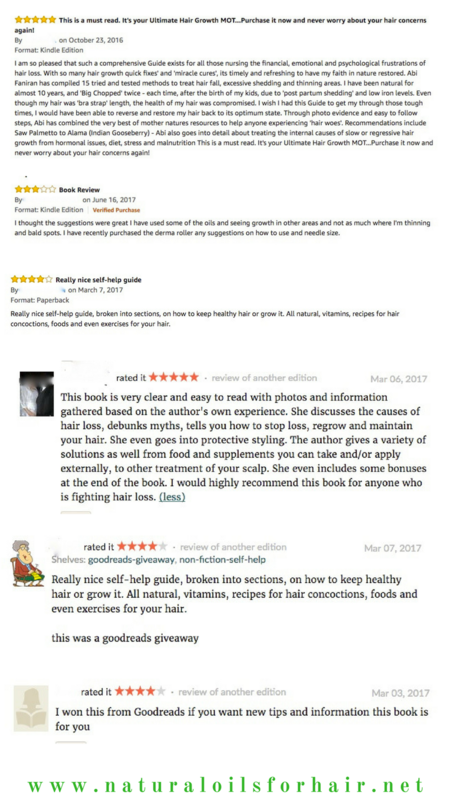 I have tested every one of the techniques in this book on my hair and can verify they deliver results no matter your hair type. Have a look at some pre and post pictures below. I had almost given up hope about regrowing those spots when I started testing out the techniques outlined in the guide. I have outlined focused and detailed solutions that you can use one at a time to turn around your problems. The guide is available in multiple formats for your convenience (links below). Subscribers to our list get up to 20% off the paperback format of the book. Join the list HERE. Otherwise, click the relevant link below to make your purchase. Grab yours now! If you have any questions before you purchase, ask them in the comment section below. 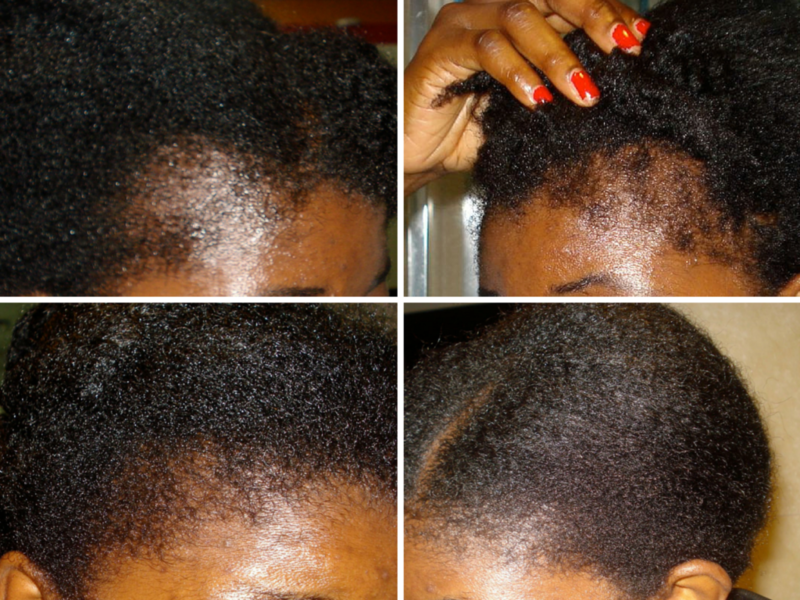 Abi is a natural curly girl who delved into the world of natural oils after she suffered severe hair loss issues. 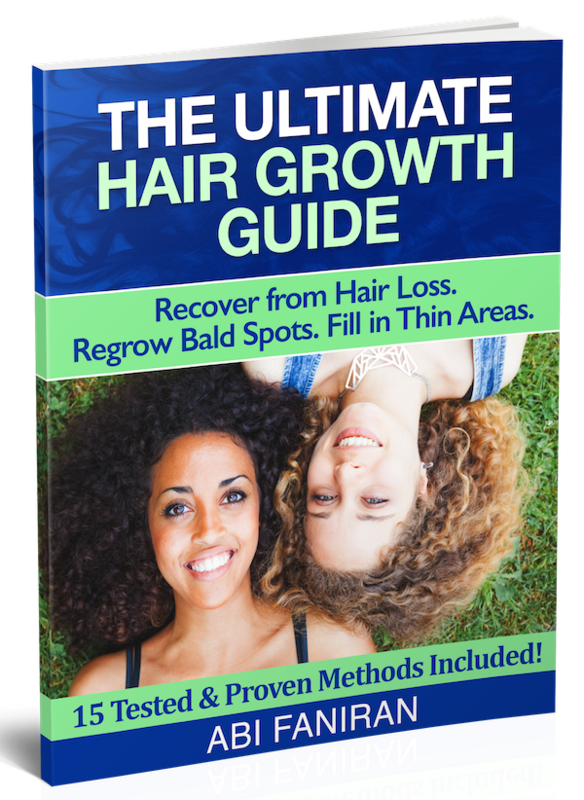 Through her research and testing, she was able to regrow her bald spots, reverse thinning and grow a healthy and full head of hair. 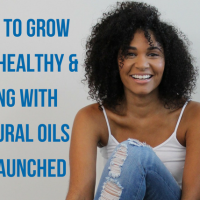 She is the founder of Natural Oils for Hair and Health and Healthy Natural Hair Products. 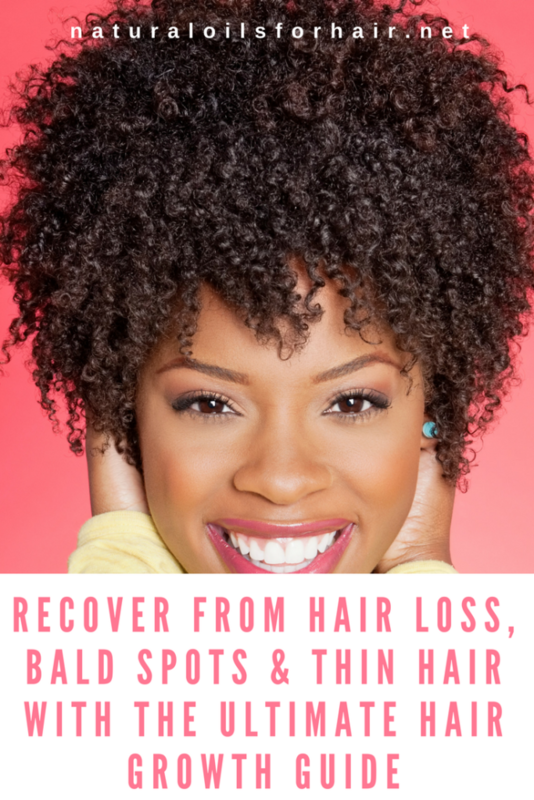 She is also the creator of the Healthy Hair Care Series. 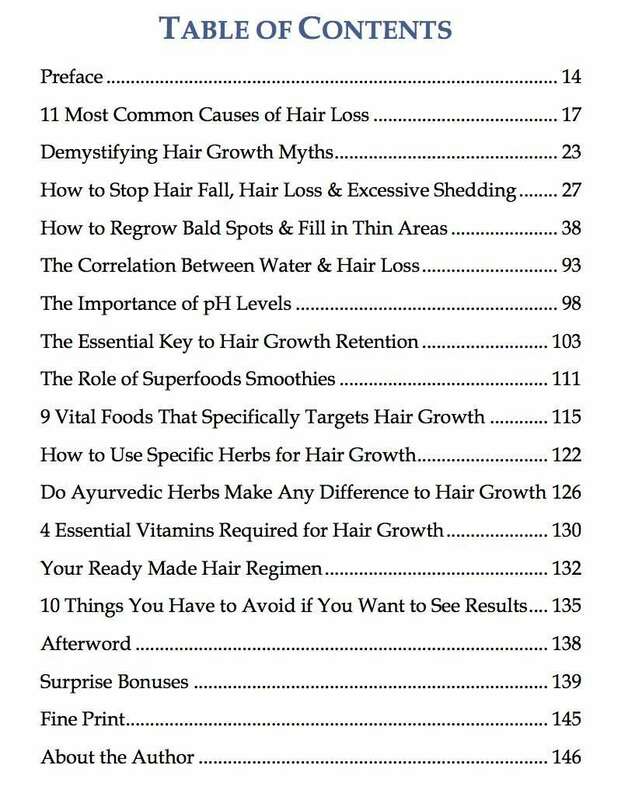 Join the mailing list to receive a complimentary copy of How to Practice Inversion for Healthy Hair Growth as well as exclusive discounts on the Healthy Hair Care Series resources. Start HERE.